Notice the white caps on the ocean. It was quite windy and cold that day here on Cape Ann MA. A snowstorm arrived a few days afterward. Between the sky and ocean here they are rather consistent predictors of the weather. Whether it is poetry or photography it is all creatively inspiring to my inner spirit. There are many other modes of creativity at Creative Everyday. Hawaii where I visited a few years ago and right now would be a lovely place to be, out the snow, ice and cold of New England. Your comments delight us in every way. That is a beautiful picture of Rocky Neck. I love the lighthouse! Your haiku fits perfectly with the picture today. Your photos are awesome with great detail and color. Love the verse, too. What great photographs, really lovely places. Great haiku,Carol! And beautiful pics too! Nicely! Ice storm threatens to hit us tonight... Hawaii sounds good! It's good to be reminded that courage comes in many forms! These are really amazing photos! I enjoyed this post very much. I love your poem. It makes me think of all the wonderful mountain ranges I have flown over. You do the haikus so well. 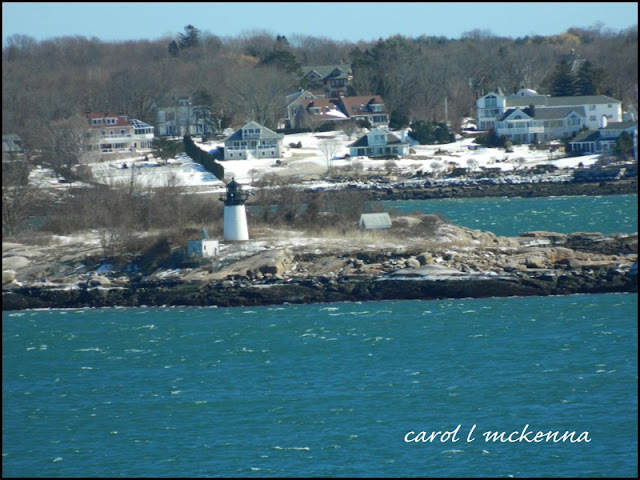 Love the photo of the Rocky Neck part of Cape Ann and the lighthouse! But it does look cold. 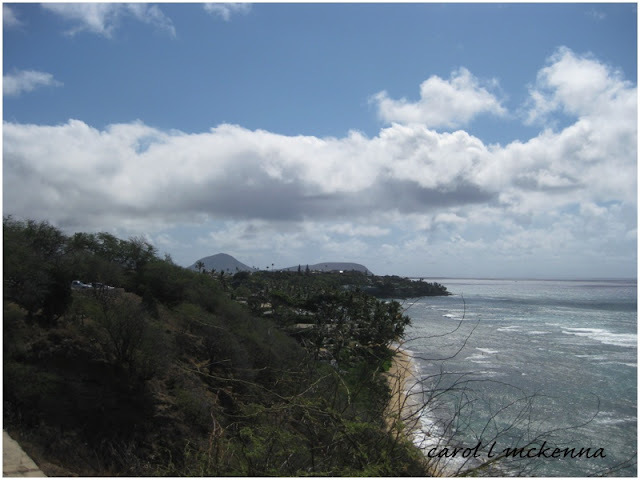 I would love to be in the warmth of Hawaii right now! Fabulous pics! Great haiku too! I love your photos. And thanks for pointing out the white caps on the ocean. Great! These are gorgeous! Hope you're ready for more snow this weekend! I like your water shots- the blues are so pretty. Amazing captures -Cape Ann looks lovely! A lovely weekend to you & ArtMuse Dog! The waters around the neck are beautiful!!! Is it really that aqua of a color? Amazing. the contrast of blue against the white snow on the ground...charming shot (tho I'll take Hawaii right about now, too). Beautiful picture ! Don't know the place but it looks lovely ! Excellent post for Jenny's Alphabe-Thursday- and did I mention how awesome your header photo is too? Wow- it's delightful! Spectacular photos, and the haiku is a perfect accompaniment. week in the Tampa Bay area..
Love the pictures and the haiku. I never tire of seeing photos of Cape Ann. You make me want to visit! Hi Carol ~~ I am liking your "N" word. That point looks a little busy and hectic with the clutter and yet pretty much abandoned and deserted. I would have liked to have seen the lighthouse up a little closer, is it working? Wouldn't Hawaii's weather be so welcome right about now? What nifty photography! 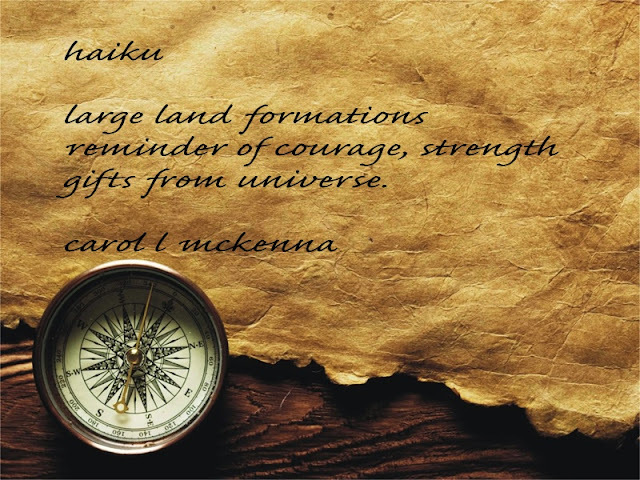 Your courage haiku is brilliant! It is was always fuN and amaziNg to see what you're up to.